I Wish I Had Fun Quizizz Like This When I Was a Kid! You thought I spelled Quizizz wrong, didn’t you? Nope, this was purposeful – because there is a really fun, really teacher-friendly, really engaging way to do do formative assessments (or just fun review games). 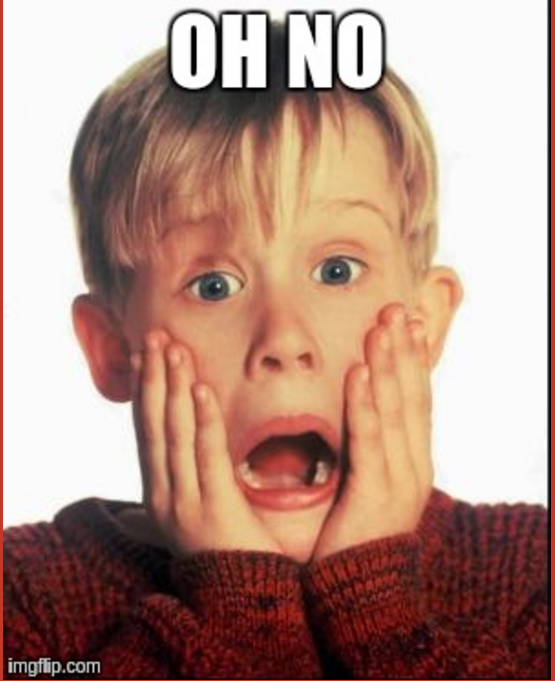 Quizizz is a great, free, incredible website and teaching tool that will have your students begging for more assessments…IF they’re made with Quizizz! 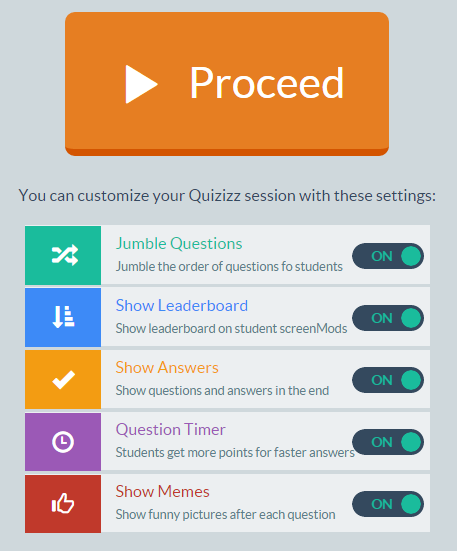 Here’s how it works: You can access thousands of user-created, already-available Quizizz (and edit them to meet your own needs) OR make your own! It’s quick, it’s easy, and it’s AWESOME! To make your own, you quickly create a teacher account, create and save a quick multiple choice quiz, and use the code for a virtual room to give to your students. Students use the code to enter and submit a nickname or even use their student ID numbers (students do not have to register). In teacher mode, you very simply enter as many multiple choice questions as you would like, and indicate the correct answer. The right side of your screen shows what the students’ screens will look like. It’s all very intuitive. To keep adding questions, just click that “add question” button at the lower left-side of your screen. For each question, you determine the length of time that students will be allowed (from 5 seconds to five minutes), which allows more time for more complex questions. You can even add images to your questions! 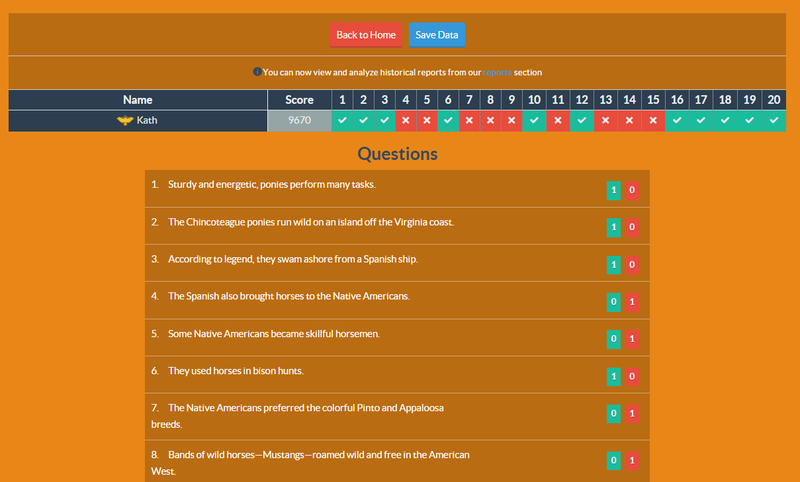 Unlike similar game sites like Kahoot, both teacher and students are able to see both the questions and answers throughout the quiz. You can choose random question ordering with the Jumble Questions option. You may opt to show the Leaderboard depending on the personalities of your students. I usually like to Show Answers at the end of a session so that students get quick review feedback. There is an option for students to earn extra points for answering questions quickly, which turns the session into a speed drill. Lastly, and this is everyone’s FAVORITE PART of Quizizz, do yourself a favor and leave on the Show Memes option! The directions are right on the screen for your students! They go to join.quizizz.com and follow the prompts…it’s that easy! They get to enter their name, and get a countdown when the teacher starts the game. Then, students click on one of the four answer choices. Quizizz tells them immediately if they’re right or wrong. 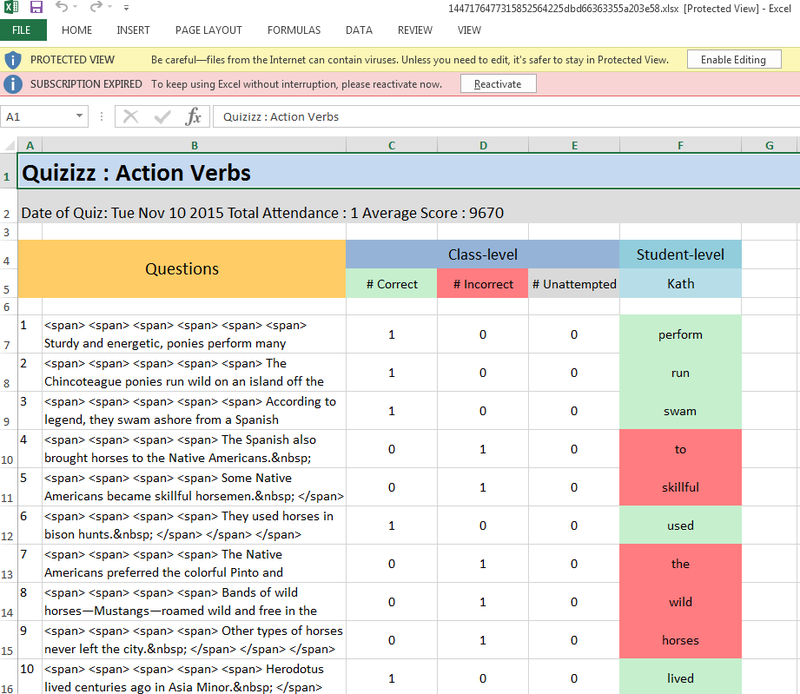 Green indicates correct, red indicates incorrect, and at a super-quick glance you can make informed instructional decisions about who may need more support and who may need a new challenge! If you click on the SAVE DATA button, it exports all of the results into a beautiful Excel spreadsheet. 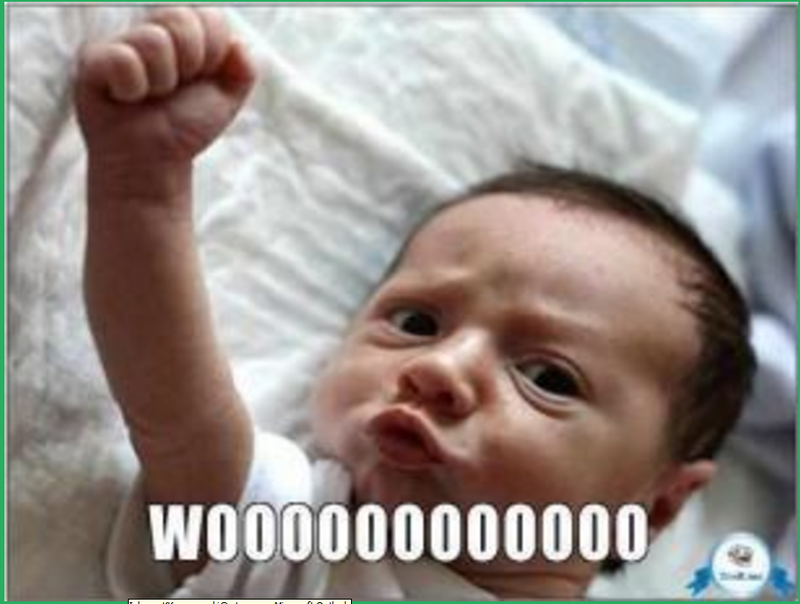 BOOM – grading done! New feature: Quizizz has recently added a feature that lets you use it for homework assignments! You can set a due date and time so that students must complete the session at home before time runs out. Even HOMEWORK just got more fun with Quizizz! Cool Bonus: You can even send the game link to students (or other teachers to use with their classes) by email, website, or social media. Yup, you can Tweet your Quizizz game or post it on Facebook for friends to play! I wish that I could choose from a list of memes to decide which ones would show up in my Quizizz.